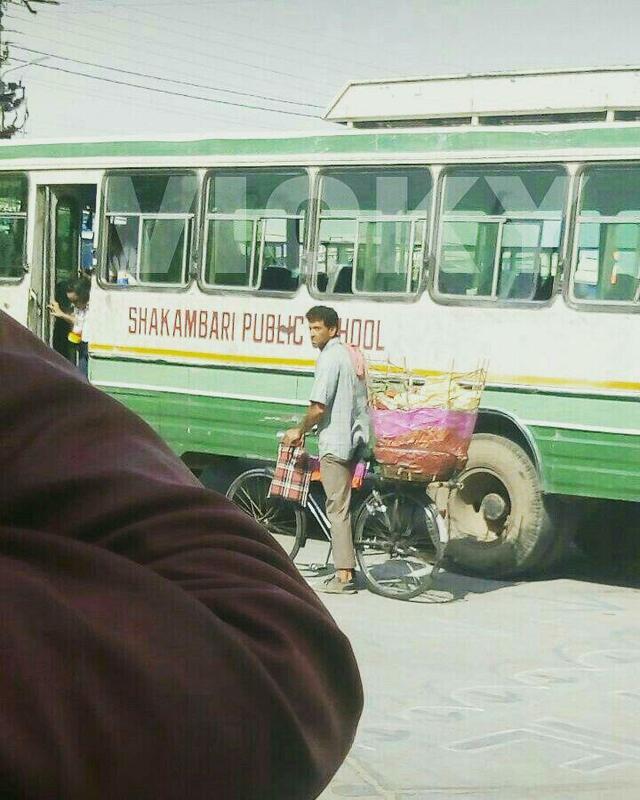 Another day, another location and yet another unrecognizable pic of Hrithik Roshan from Super 30. Have a look. Till a few days back, no one would have imagined that Hrithik Roshan can pull the look of mathematician, Anand Kumar. Things changed when few of his pics got leaked from the sets of Super 30. While the actor was in Benaras, he is now in Jaipur, Rajasthan, where the film is further shaping up. 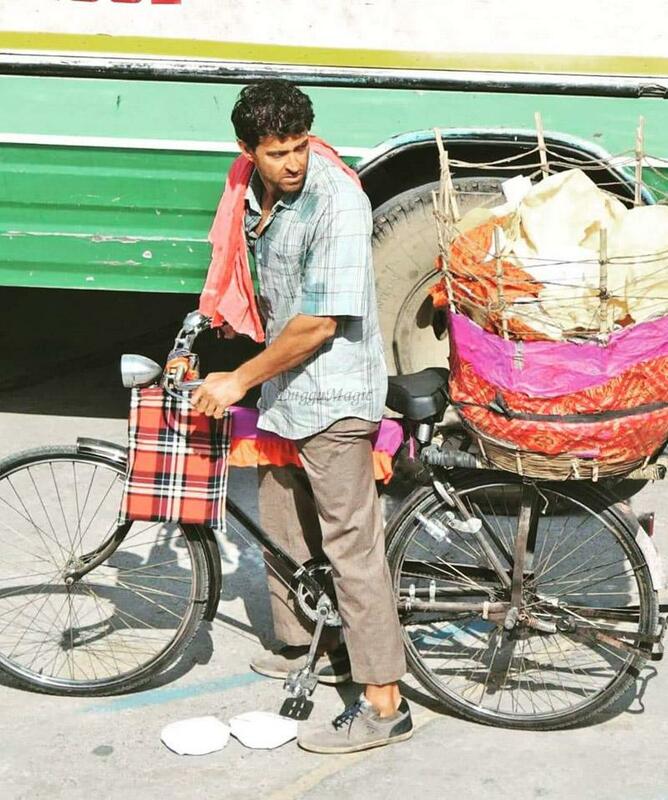 A new picture of the actor has come out from the sets and he can be seen selling papad on a bicycle. That’s right; in the movie, Hrithik will be seen selling papads and doing other odd jobs. As the movie will revolve around Anand’s life, it will show all the struggles what the mathematician been through. Director Vikas Bahl has also said that showing mission Super 30 is not the only goal of the film, the movie will also focus on how Anand’s life took a turn. When Vikas was quizzed about the project, he said, "Truth, they say, is stranger than fiction. Anand sir's life story is the most beautiful and shocking example of it. His mission to share his knowledge and educate children to get them and their families out of poverty is unprecedented. Fighting circumstances, lack of resources and the system that only wanted to pull him down, he is the true hero of today's India. I'm excited to take his story to the world." While the film will have an ensemble star cast, Hrithik’s love interest is played by TV actress, Mrunal Thakur. Jointly made under the banner of Phantom Films and Reliance Entertainment, Super 30 will hit the screens on 25th January 2019, clashing with Emraan Hashmi’s Cheat India. Superstar Hrithik Roshan feels proud after India puts up a great show at CWG 2018!